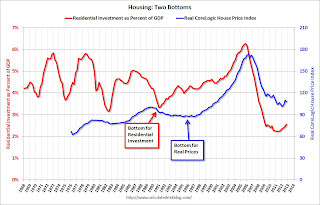 Last year when I wrote The Housing Bottom is Here and Housing: The Two Bottoms, I pointed out there are usually two bottoms for housing: the first for new home sales, housing starts and residential investment, and the second bottom is for house prices. When I posted that graph, the bottom wasn't obvious to everyone. Now it is, and here is another update to that graph. 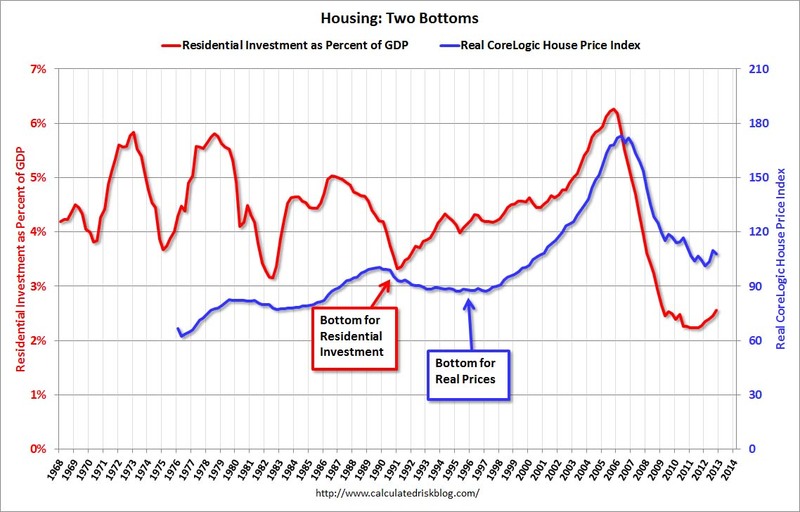 For the current housing bust, the bottom was spread over a few years from 2009 into 2011. This was a long flat bottom - something a number of us predicted given the overhang of existing vacant housing units. The second graph compares RI as a percent of GDP with the real (adjusted for inflation) CoreLogic house price index through December. 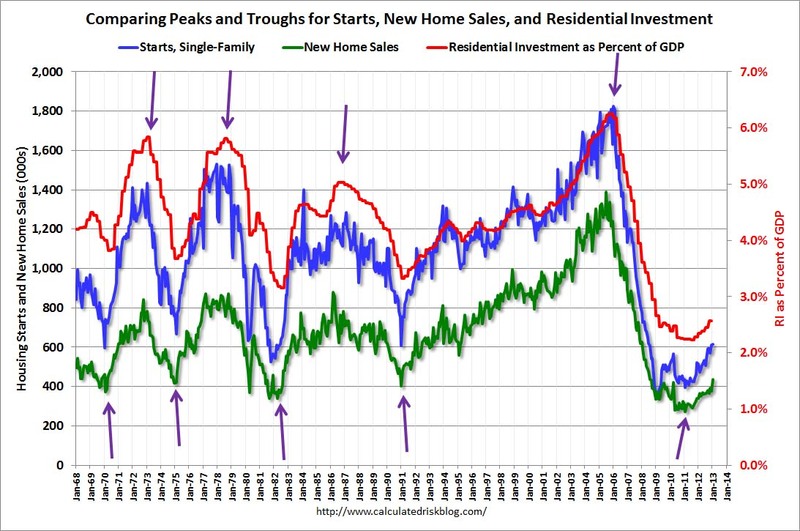 Although the CoreLogic data only goes back to 1976, look at what happened following the early '90s housing bust. RI as a percent of GDP bottomed in Q1 1991, but real house prices didn't bottom until Q4 1996 (real prices were mostly flat for several year). Something similar happened in the early 1980s - first activity bottomed, and then real prices - although the two bottoms were closer in the '80s. 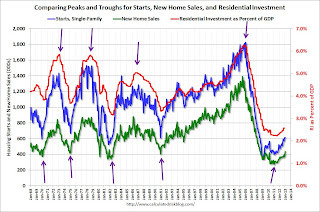 Now it appears activity bottomed in 2009 through 2011 (depending on the measure) and house prices bottomed in early 2012.